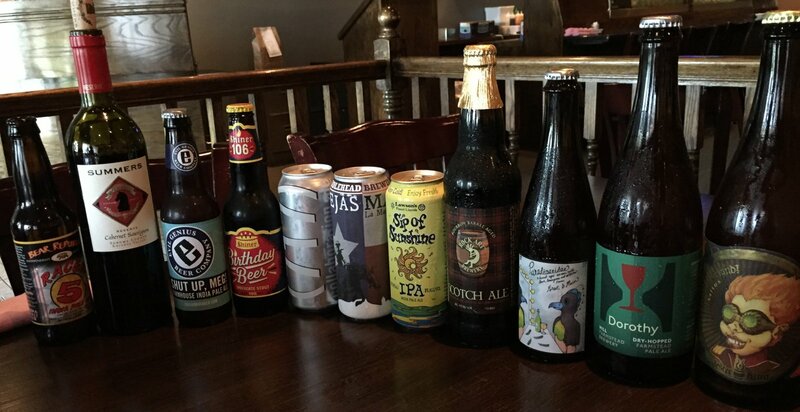 Beer club was tonight! For the uninitiated, beer club is a monthly gathering of like-minded coworkers and acquaintances at a local BYOB for drinks, food, and fun. Astute observers will notice that we skipped the month of May, which primarily came down to laziness and the fact that a couple of key attendees were embarking on Operation Cheddar/Chowder. That said, our triumphant return was quite the success, good attendance, great beer, and some rather fine sushi. This page contains a single entry by Mark published on June 18, 2015 8:33 PM. Lawson's Finest Liquids Sip Of Sunshine was the previous entry in this blog. Lost Nation Gose is the next entry in this blog.